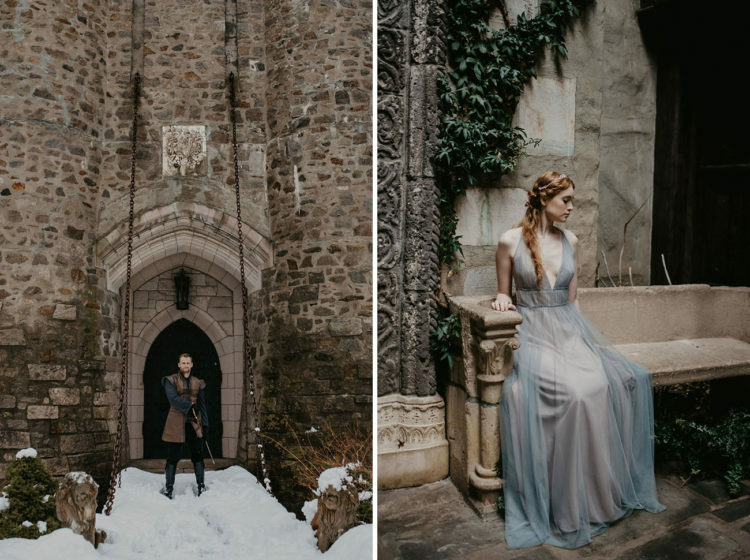 The new season of Game of Thrones is coming soon, and it means that it’s high time to enjoy a gorgeous wedding shoot inspired by the series. 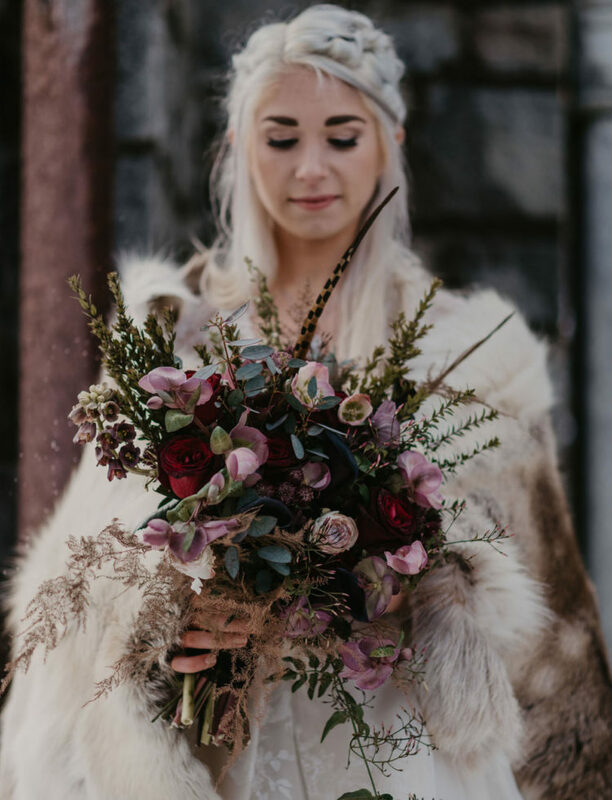 We’ve seen a few GoT-inspired weddings since the beginning of the show but today’s unbelievable details take the throne. 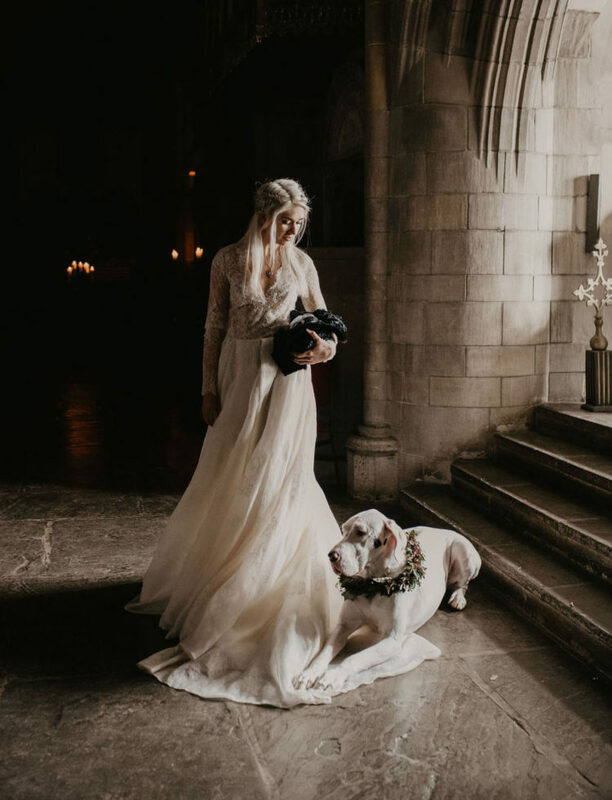 The shoot took place in at Hammond Castle in Gloucester and the details aren’t that medieval as you could expect, the shoot is more about something modern. 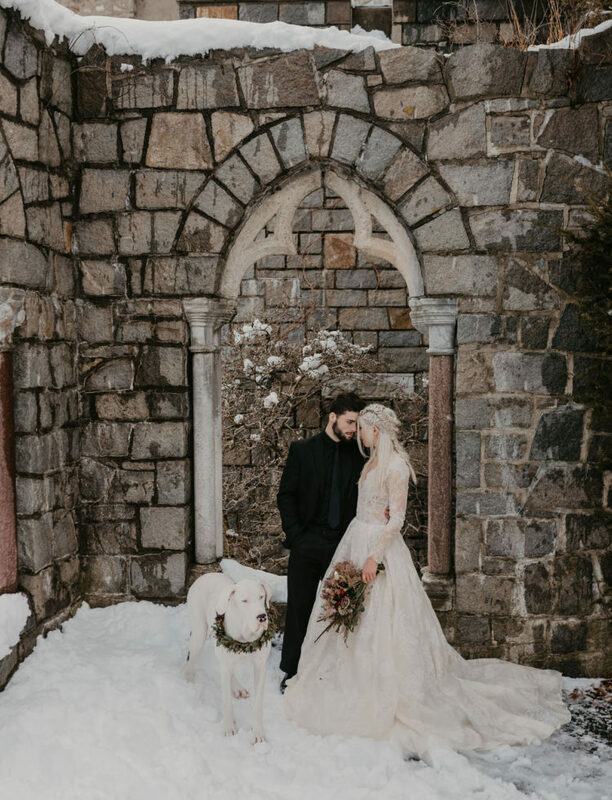 There’s always a story to tell behind the scenes…there was a snowstorm as the day unfolded, resulting in no power! 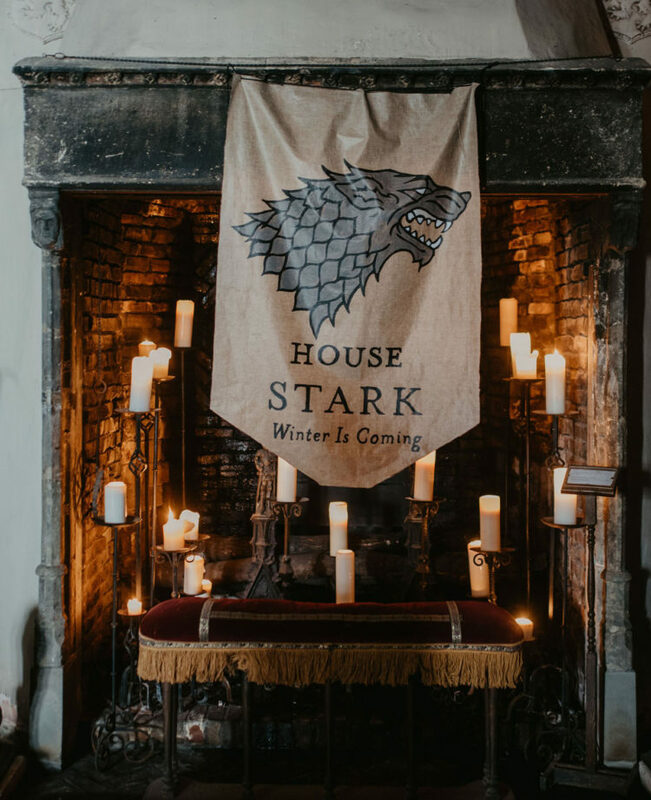 Candlelight was certainly appropriate for the subject, but the logistics of a photo shoot sure got tricky without electricity but the team still took the challenge. 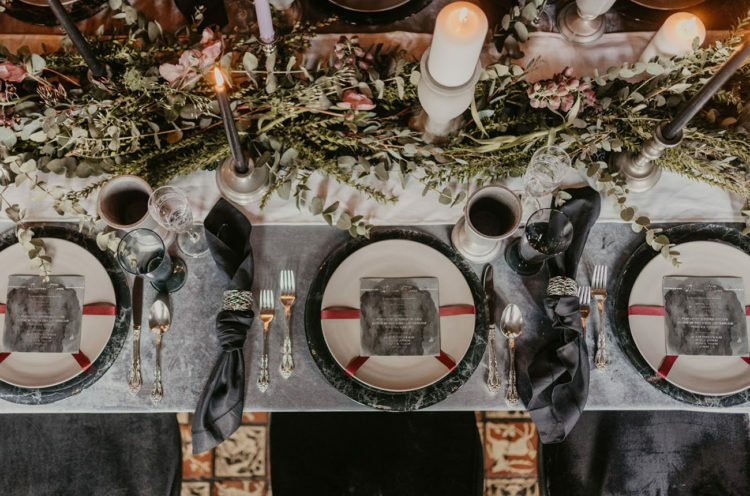 The wedding tablescape was done with a white table runner, black and white candles, lush greenery, marble chargers and black napkins. Did you know crystals can form when liquid magma cools? 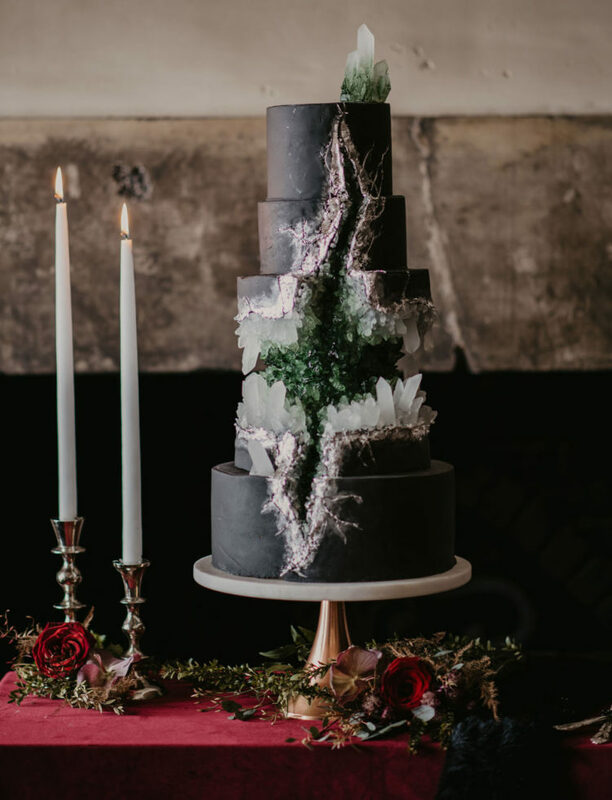 The gorgeous wedding cake in black with lots of green geodes was sort of like a cross between ice and fire! 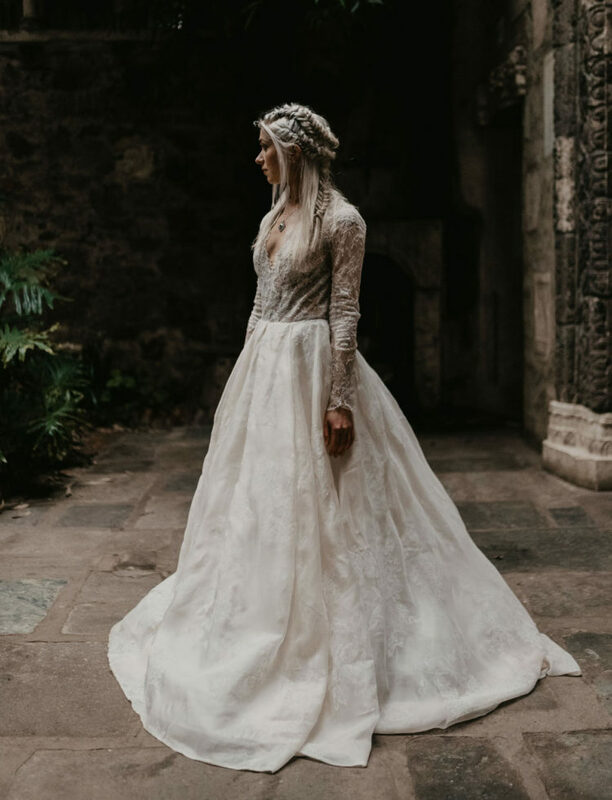 The bride was wearing a lace A-line wedding gown with long sleeves and a cutout back and a braided half updo that reminded the hairstyle that Daenerys wore in the series. 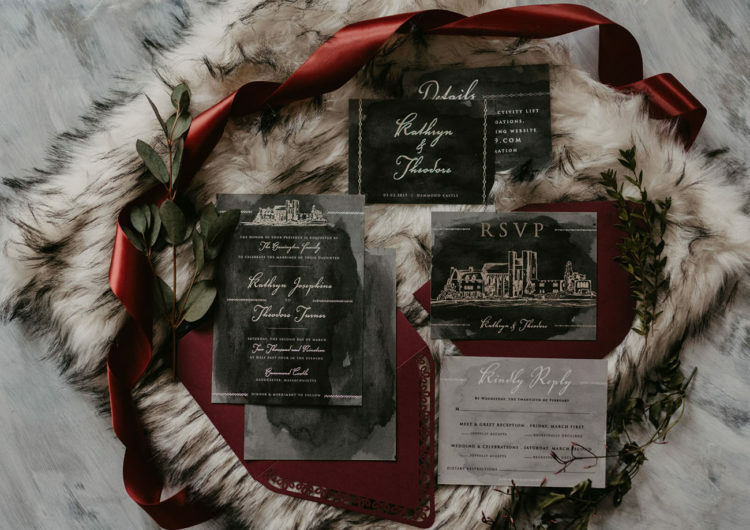 The groom was wearing a total black look with a suit and a tie. 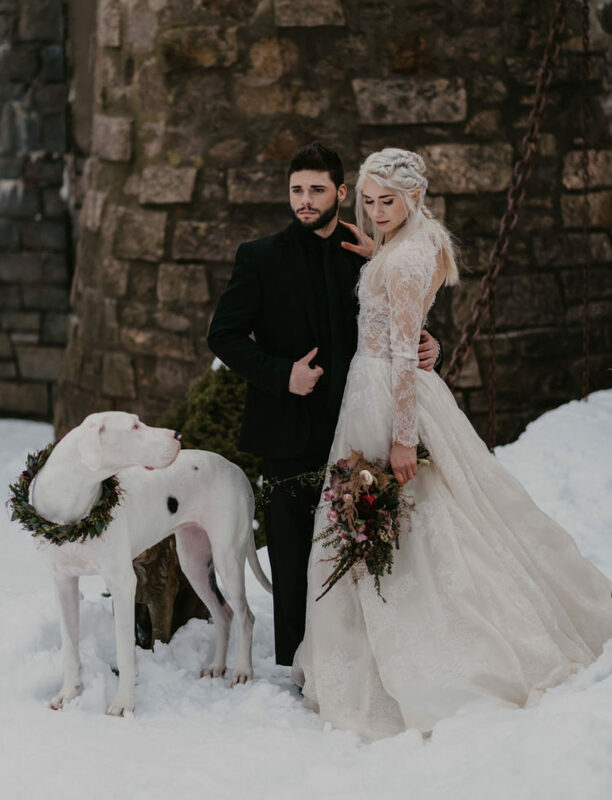 His beard and moustache totally reminded us of Jon Snow. 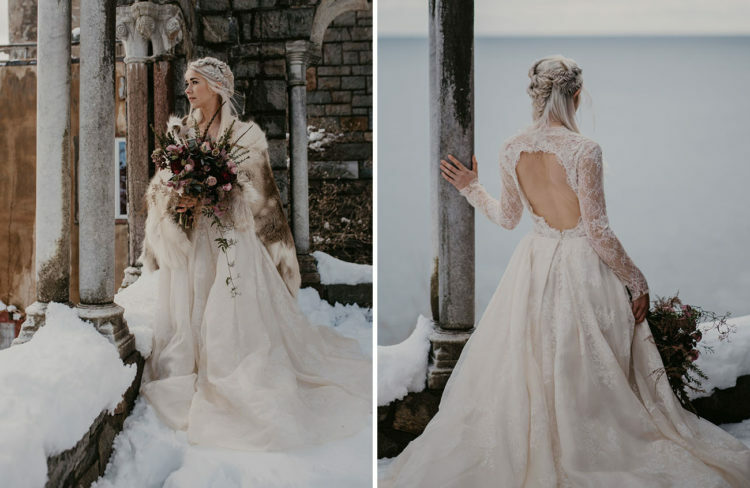 What a gorgeous shoot, isn’t it?